Rent it for $194/day ……………………………………………. 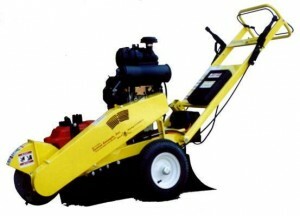 This stump grinder has a 16″ diameter cutting wheel. Large tires will drive the unit to wherever you need to go! To stump grind, the operator will pivot the unit back and forth over the stump, slowly grinding it away.